As cryptocurrencies such as Bitcoin are getting more and more attention from financial institutions as well as regular investors, many more people have started looking into buying bitcoins. Hong Kong is a city with many banks and finance companies, and people living in Hong Kong are very familiar with investment such as in stocks and real estates. However, when it comes to buying bitcoins in Hong Kong, many people still don't know how to get started. 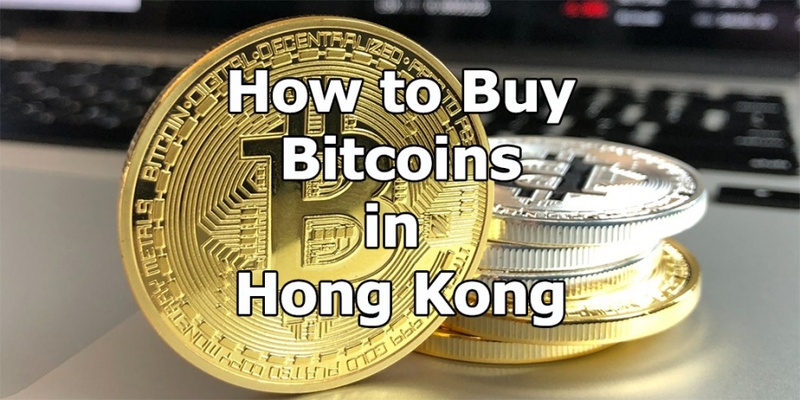 In this article, we will discuss how to buy bitcoins in Hong Kong. While the bitcoin price has increased dramatically over the past few years and many people are getting rich from their bitcoins, many financial experts believe that we are in a cryptocurrency bubble. The price volatility of bitcoins and other cryptocurrencies are much higher than stocks. You are not guaranteed to make money from buying bitcoins, especially at the current high price. On the other hand, it's quite possible that you might end up losing a lot of money from your bitcoin investment. The rule of thumb is: If you can't tolerate losing a large percent of your bitcoin investment, don't invest in bitcoin at this moment. 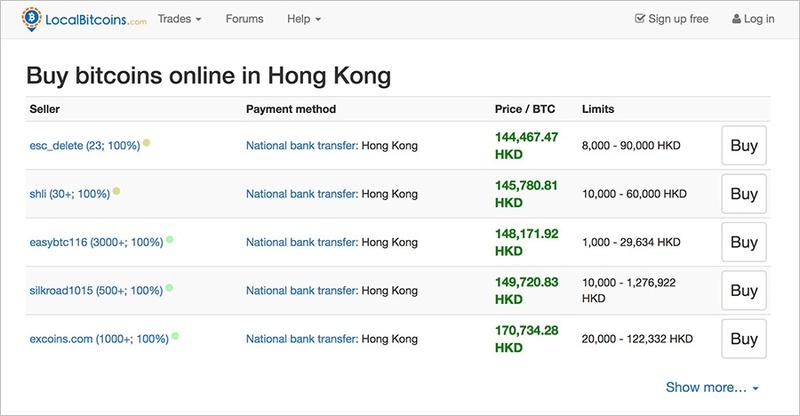 The easiest way to buy bitcoins in Hong Kong is to buy them from a bitcoin exchange. As a matter of fact, there're currently many bitcoin exchanges where Hong Kong residents can open an account and start buying and trading bitcoins, and there're even some bitcoin exchanges located right in Hong Kong. While buying bitcoins in Hong Kong from an exchange is easy, there're some drawbacks that you should know. First of all, given the current hype in bitcoins and other cryptocurrencies, many bitcoin exchanges are overwhelmed with new signup requests and many of them couldn't handle the big increase in traffic. As a result, many well-known bitcoin exchanges have stopped allowing new signups. In addition, even with bitcoin exchanges that you can still sign up, the signup process could be really time-consuming. It's not uncommon that it might take several weeks for your account to get verified (most bitcoin exchanges will ask you to upload your photo ID, passport picture, utility bills etc. to verify your account before you can buy large amount of bitcoins). Bitcoin ATMs are not very popular yet, but you can find some in Hong Kong. Do a search for "bitcoin atm hong kong" from your Google Map and you might be able to locate some. Unlike buying bitcoins from an exchange, you don't need to open an account and you can enjoy better privacy because you will not be asked to disclose your personal info when facing a bitcoin ATM. In addition, the whole process will be really fast. You insert cash (usually Hong Kong Dollars) into the bitcoin ATM machine and then you will receive some bitcoins. However, the big drawback of buying bitcoins from a bitcoin ATM machine is that the cost is really high. You might end up paying 5% in fee when buying bitcoins from an ATM. There is another type of bitcoin exchanges, commonly known as peer-to-peer exchanges or over-the-counter (OTC) bitcoin exchanges where you can buy bitcoins from. Unlike traditional bitcoin exchanges, at this kind of exchanges you buy and sell bitcoins directly with another individual, who is quite likely live in Hong Kong as well. One of the most famous peer-to-peer exchanges is LocalBitcoins. Buying bitcoins in Hong Kong at Localbitcoins is quite easy. When you visit its website, you can find listings from people willing to sell bitcoins in Hong Kong. If you find some listings that you are interested, you can interact with the buyer and make the payment using one of the allowed payment methods. Localbitcoins will serve as an escrow service to make sure nobody is cheating. Once your payment is confirmed, you will get your bitcoins from the seller. The advantages of using OTC bitcoin exchanges such as LocalBitcoins include: 1) The signup process is easier. 2) Often times you can maintain your privacy and you might not even be asked to upload your ID. 3) You can buy bitcoin with more payment options such as using cash, Paypal, bank transfer, credit card etc. Many of these payment options are not available at traditional bitcoin exchanges. There are a number of ways to buy bitcoins in Hong Kong, each with some pros and cons. It's up to you to take a look at each of these options and decide which way work buys for you to buy bitcoins in Hong Kong.